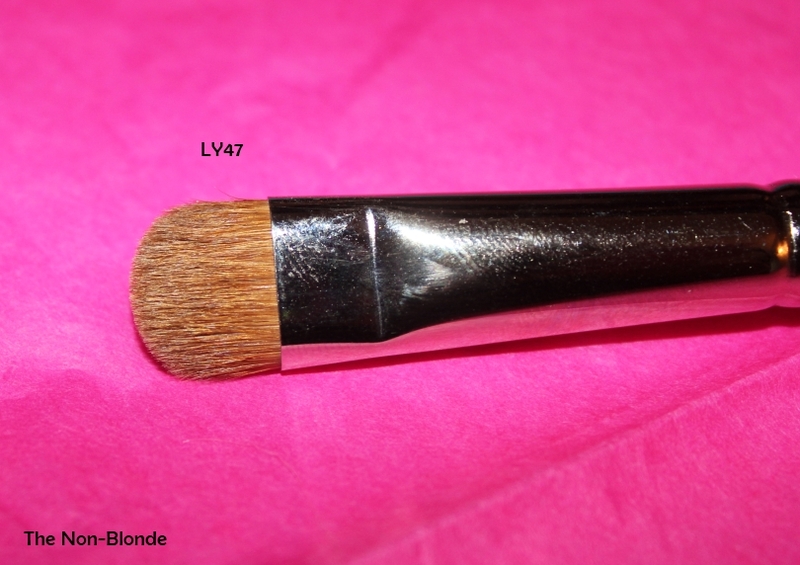 These two Louise Young eye brushes look similar and are both made of natural hair. However, they're are actually quite different and when using on your skin you immediately feel the difference. The LY46 Super Blender is a little thicker and squatter than the LY47 Super Shadow. It's thinner and wider than most blending brushes and the short densely packed hair completely lacks fluffiness, and as a result it's not as soft as I would have liked. It might be an issue with my technique- I'm taking full responsibility here, but I do very little blending and a lot more shading with my LY46. 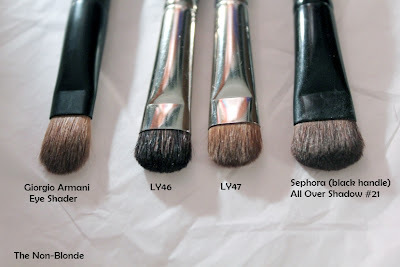 Then again, there is something to be said for a brush that applies eye shadow and then can carefully smoke it out and diffuse it thanks to it's width. The LY47 Super Shadow brush is made of sable hair and is considerably softer than its sibling. 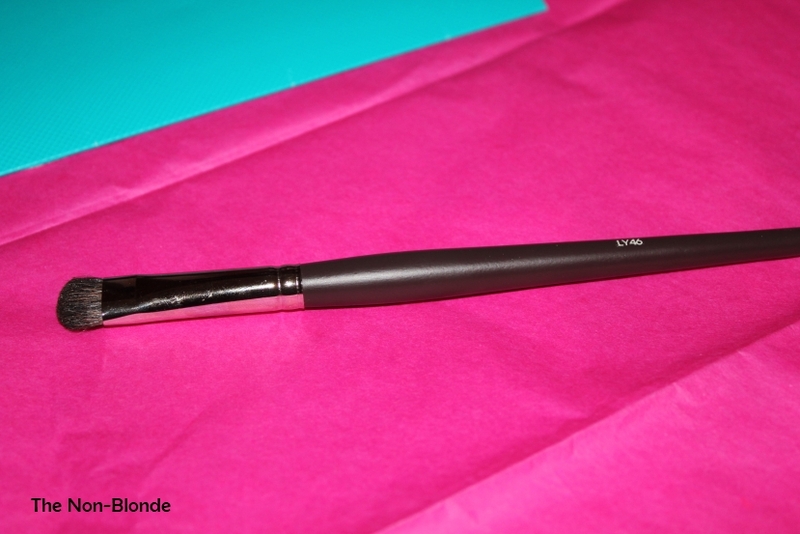 This brush is slightly thinner, picks up a nice amount of product and deposits it smoothly for an even all over wash of color. In the case of my large lids I can also do more shading and other not-so-detailed work, and even contour along the lash line (using the thin uncut edge). The LY47 is so pleasurably soft that I make it work and really earn its keep. Both of these Louise Young brushes are not just pretty with their dark brown long wood handle, but also sturdy and well-made. The ferrules are tight and strong, no hair escapes them. 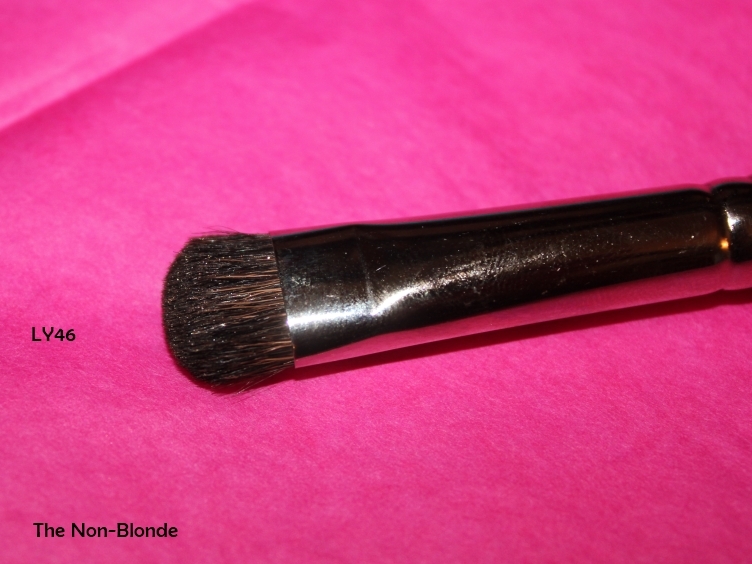 Neither one of these brushes has lost a single hair during the months they've been in my collection. I do wonder if I should have gotten the LY45 Super Blender 1 instead of the LY46, but it's never too late. 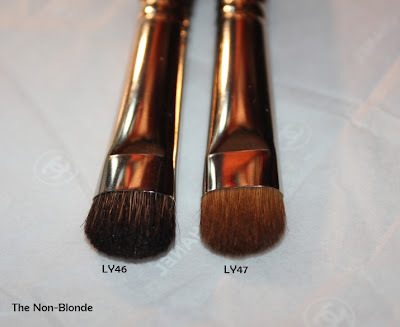 Louise Young LY46 Super Blender 2 (£17.00) and LY47 Super Shadow (£19.00) brushes are available from louiseyoungcosmetics.com . They ship all over the world. In terms of size, is it comparable to the Mac 227 or 239? 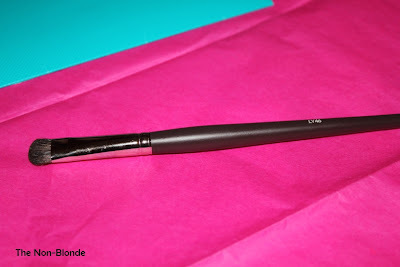 Are the Louise Young brushes bigger than the average eyeshadow brush?